Telling your story effectively is the most important aspect of the trial. 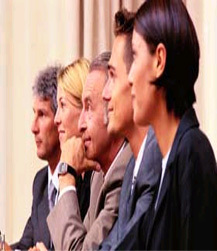 Well-crafted story telling engages jurors within the first few minutes of your opening statement. We specialize in developing memorable word pictures for jurors, creating phrases that are compelling, and laying an honest story before the jurors. Closing arguments incorporate the facts outlined in your opening statement. Using our in-house evidence fact sheets, we make sure that your closing sums up the evidence clearly and that it ties directly to the jury charge so jurors aren't confused when it comes down to the final hours of decision making.